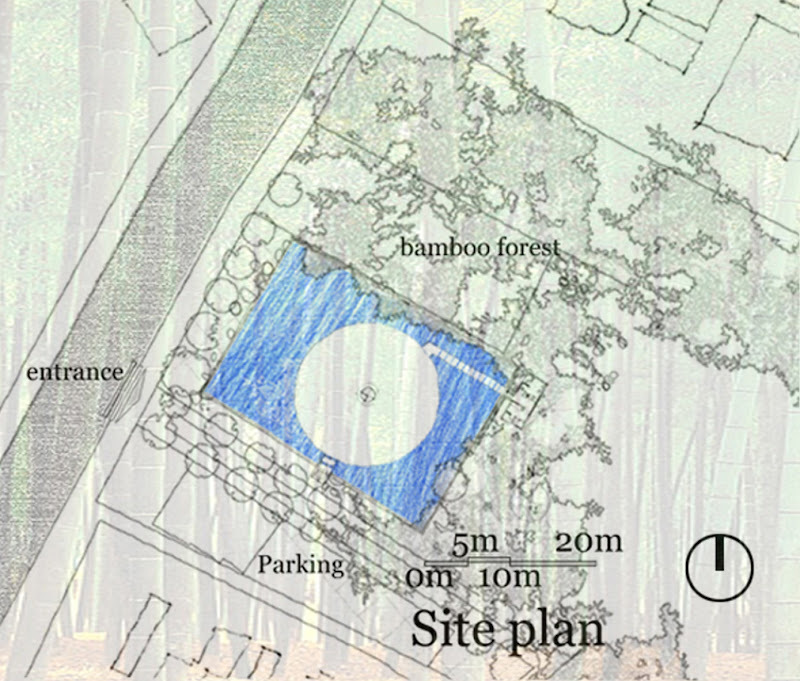 The wNw bar is located in an artificial lake next to the wNw café. To create a contrasting space to the cafe, the bar is designed as an enclosed space which can be used for different purposes such as music concerts, shows, ceremonies etc. 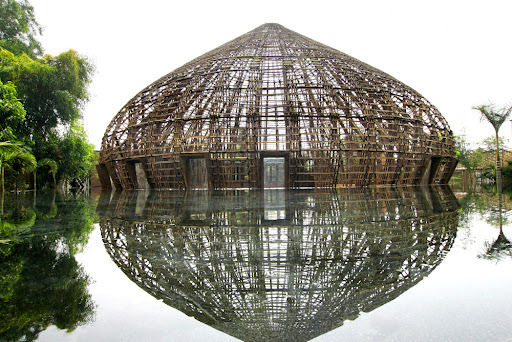 A structural bamboo arch system was designed for this dome; 10m high and spanning 15m across. 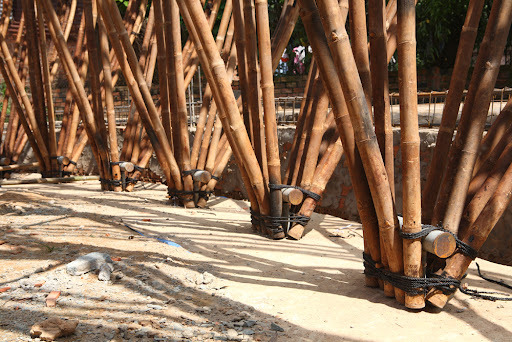 The main frame is made by 48 prefabricated units, each of them is made of several bamboo elements bound together. 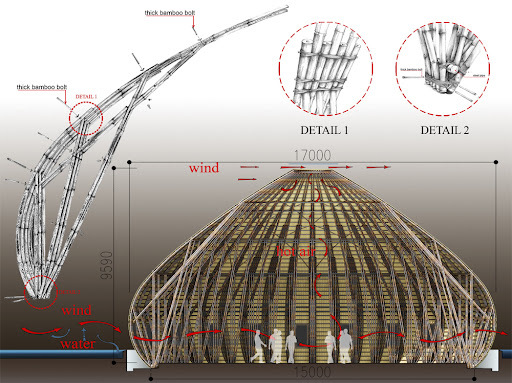 The building uses natural wind energy and the cool water from the lake to create natural air-ventilation. 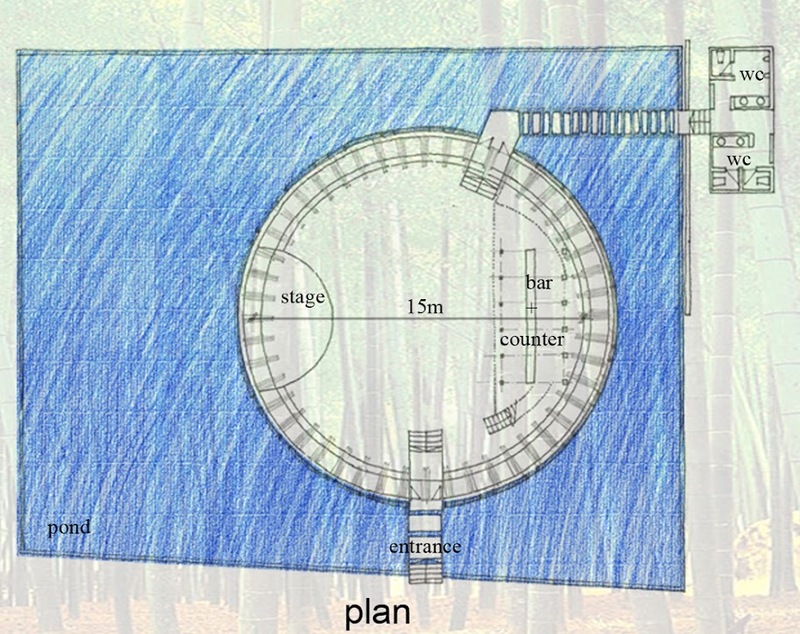 On the top of the roof there is a hole with a diameter of 1.5m for the evacuation of hot air from the inside. As a new architectural element, the style of the two buildings of wNw becomes the focus of the landscape and work in harmony with the surrounding residential area. Although the function of the buildings is a bar, it has its own uniqueness and has become a landmark of urban landscape. 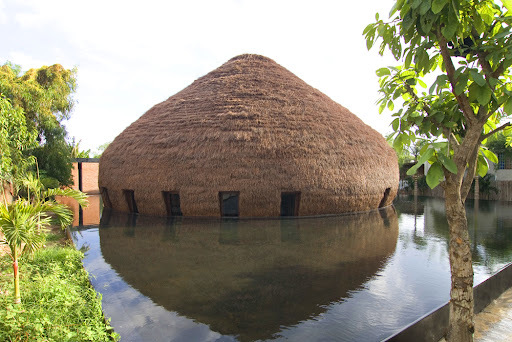 It represents not only modernism but also traditions. 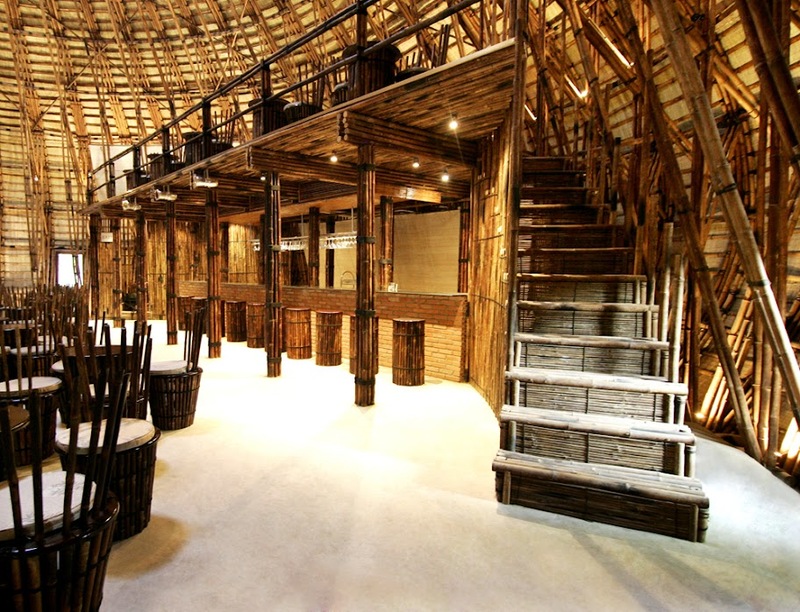 The building gives a luxurious feeling but at the same time remains gentle in its atmosphere. The bar is now also used for town meetings and other social activities. 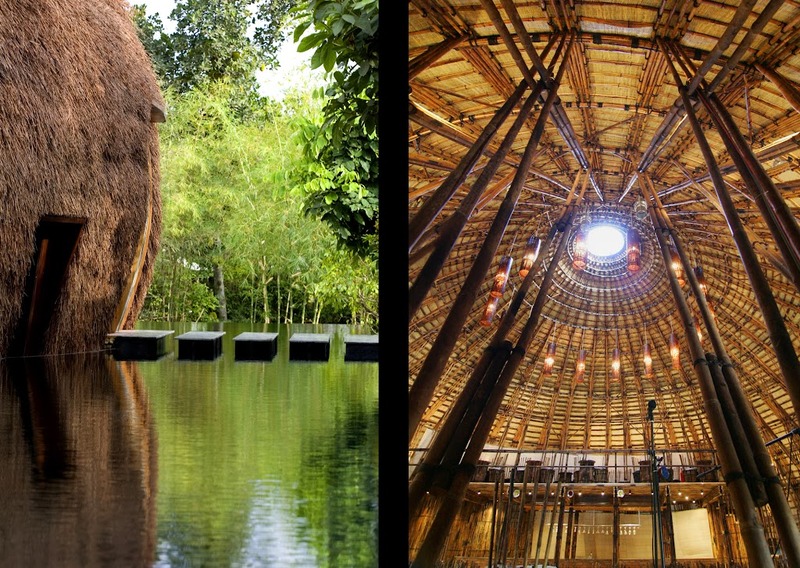 The two buildings originated from nature. They now merge in harmony with nature. With time they will return to nature.